The Bureau of Land Management destroyed water lines and water tanks belonging to the Cliven Bundy family. The feds also shot two prized bulls and ran over at least one endangered tortoise den. 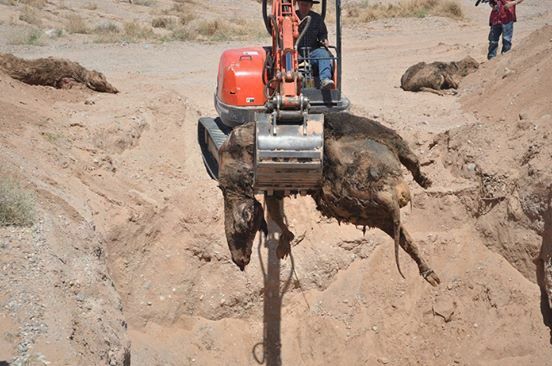 The Bundy family discovered a mass cow grave after the BLM left the area. Bundy ranch family members and friends spent much of their weekend moving cattle shot or run to death during the BLM standoff earlier this month. The graphic images have gone viral online, shocking both rancher and animal advocates alike.